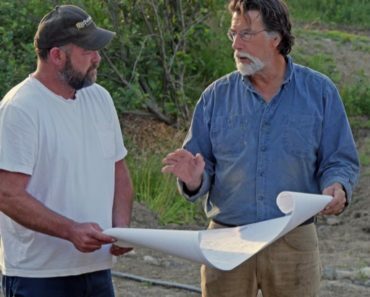 As everyone gears up for the finale of The Curse of Oak Island, starring brothers Rick and Marty Lagina, many people still wonder what’s actually going on over there. How much is fable and how much is reality? Obviously there’s no conclusive answer if it’s totally untrue because one could simply say “Just because they haven’t found anything doesn’t mean it’s not there!” But there are a lot of facts that suggest there isn’t in fact anything there despite people’s obsession and an entire show being based around finding whatever it is people are looking for. And that’s what we want to explore right now. But before that let’s talk about the legend of the “money pit” first. It was the year 1795 when young Daniel McGinnis, a boy of only 16, rowed to Oak Island in Nova Scotia on a journey of exploration. On the eastern end of the wooded island he found something out of place: an old wooden tackle block suspended from a heavy branch, and on the ground below, a sunken depression. Over the coming weeks they finally reached 30 feet — that’s incredible for three teenagers — and along the way found two more log platforms. By then the difficulty and frustration won, and they gave up. To make a very long story short, many companies and investor groups have taken over the island and launched major digging efforts, costing millions of dollars and the lives of six men killed in various accidents. Is there anything even down there? Evidence and theories may suggest the contrary. Here are 5 theories that seem to be plausible. Coconut fiber is a major element in the Oak Island story only there’s one problem. Coconuts are not found in Nova Scotia, nor anywhere in the vicinity. The closest place coconuts were found in the 18th century was Bermuda, about 835 miles due south of Oak Island. How would 300 year old coconuts get buried 50 feet underground when there was nobody around to do it, in a booby-trapped shaft that nobody had the technology to dig? It’s really those flood tunnels that put the Money Pit over the top of anything you could expect pirates or anyone else to be responsible for, especially during a century when no Europeans were within thousands of miles. Divers would have needed weeks or months to cut subterranean tunnels from the bay nearby to the 90-foot level of the Money Pit. Accompanying his map, Joe Nickell said “The artifacts are not properly documented archaeologically, and most would appear to derive from historical activity on the island or from subsequent excavation or hoaxing by workmen.” This is referring to a stone tablet and as well as gold chain links and parchment. In 1949, people actually found “another money pit” on the island. It too was a sinkhole, supposedly with a stone tablet, and when they started digging it too had flats of logs at regular intervals. But nothing ever came of it, not even to say it was a bust, only that it went no further. What many people fail to realize is that there’s been over 40 pits dug since the first attempt was made. These pits have collapsed and filled in, leaving a lot of debris, mining equipment, timber and tools behind both over and under the ground. Over the years no one kept proper records of what they did or where exactly they dug, and the location of the original money pit is long lost. The whole area is just a mess of old mining pits, left over equipment, and to top it all in the sixties the whole area where the money pit was thought to have been was dug up, down to a depth of fourty meters and a length of 30 meters, turning the area into what resembled a large open pit mine. The removed dirt was dumped onto the beach where it was thought it might plug the famous booby trap tunnels from flooding. 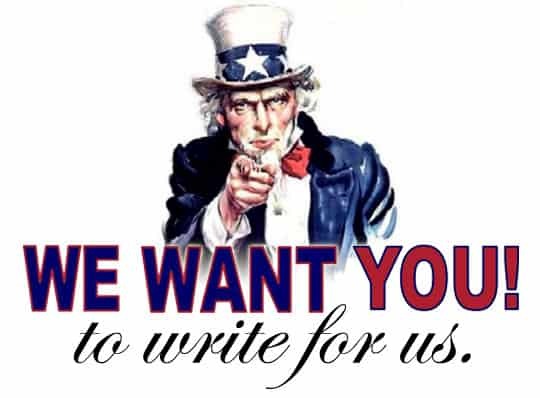 So when you see various researchers try to make sense of the geography and find clues in the terrain keep in mind that they’re looking at a changed landscape, and any clues left there will have long since disappeared. The whole area and the ground beneath it where the now long lost original money pit once was (referring to the first digging effort, not the treasure) has been dug up, mined and drilled so thoroughly that its impossible for anyone to make sense of it anymore, let alone make a meaningful attempt at finding the original money pit. Having said that, I watch the HC show with my ten year old nephew. He’s fascinated by the story, and I’m okay with ten year old boys having their imaginations filled with stories of buried pirate treasures. You can also read, The Secret Treasure of Oak Island by D’Arcey O’Conner. 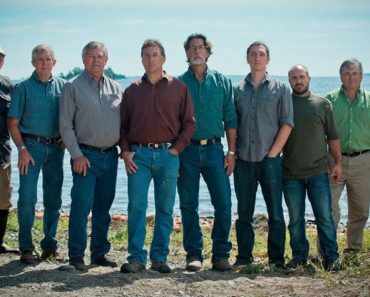 And obviously if you’re still interested you can always tune in to The Curse of Oak Island on Tuesdays at 8pm EST on History or check out the DVD. 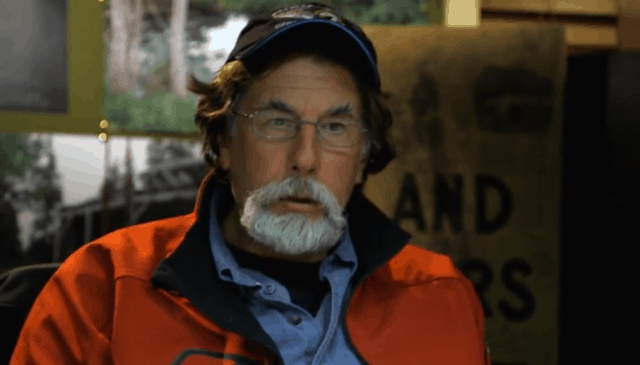 The Curse of Oak Island: Will There Be a Season 4? in mining they have air vents. hence Flood Tunnels. you state “in a booby-trapped shaft that nobody had the technology to dig?” actually several civilizations had technology to build pyramids, cities in the sides of mountains and have elaborate traps in them. however what the show does not touch on is the fact that the local Tribes dug on the island for Red Clay for hundreds of years. Coconut Fiber not coconuts. there is a big difference. those could have easily been brought to the island in a later time frame. there are several ship wrecks that were trading in the Bermuda’s. and just washed ashore from those shipwrecks. now is it plausible that these Red Clay mines were discovered , used then the entrances were buried ? yes. is it plausible that the “Swamp” is man made? yes. just dig at the shoreline or one of the many underwater springs to use water to fill up the mines entrance. How to retrieve the buried items after flooding..? by marking air tunnels or exits that a person can be lowered down into via a pulley system. that were above sea level. really not that far fetched and very simple. The curse of Oak Island, is the Money Pit. The island is a money pit for all who seek its treasurer. However, Rick and Marty have found a way to turn the island from a money pit to a treasurer…A cable show. That is their real treasurer. If there is buried treasure, what happened to the people who buried it. They must of had a plan as to when they would come back for it. Did the show go into this? I haven’t seen the earliest episodes.If it were pirates would they just go, “Oh well. Treasure is gone.” and leave. Fairly certain there’s nothing there myself, but to play the devil’s advocate, if you had a treasure of historical or religious significance you felt was too powerful or valuable for anyone to own… you may just decide to bury it in a way it could never be retrieved instead of outright destroying it. How can anything be too powerful or valuable to own? How is “Flood Tunnels seem very exaggerated” part a fact? Isn’t that just your opinion, and possibly others? No-one has ever seen them – they are just assumed to exist. Robert Dunsfield dug up the flood tunnels. He said that they didn’t extend past the beach. He also said there was no route for flood tunnels to run from Smith’s cove to the Money pit. 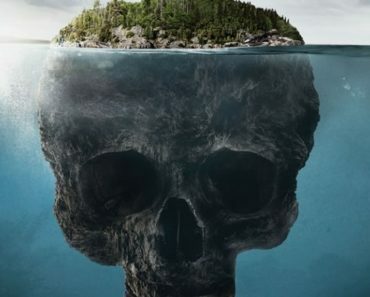 He was a Geologist who excavated the bulk of the island, so if anyone knows, he would be the expert.. They where probably created for Salt concentration for fishing or for seasoning Caulking for boats. They only make sense as “booby trap flood tunnels” If you assume there is a treasure, and even then Booby trapping seems like dangerous overkill. Person who post this tread simply means you’re a negative person and a poor person :D if you didn’t able to find treasure or something then don’t talk something you don’t know. THere is a treasure in oak island, the only thing stands between the treasure and people who wants to get it are spirits that is seeking light who protects the treasure… BTW Nat your an idiot and jerk !!! First of all, any run-of-the-mill pirates or thieves wouldn’t take the trouble to put together such an intricate series of tunnels or dig so deep. IMHO the most important revelation from the finale is when the descendants of the original crew to search Oakland said that three chests where found. Sounds like people having been searching for something that was hauled away long ago. So you believe it? That not one, but the three original families all successfully kept this huge secret from the world for over 200 years, and one of them finally decided to come forth with the truth now? I suppose it’s POSSIBLE that it’s true, but to me “farfetched” isn’t strong enough a word for it. I’m afraid I just don’t believe the story that the McGinniss sisters and the show creators are selling us is really true. Wouldn’t be that hard to believe that whatever “treasure” was found was spent hundreds of years ago by the original finders and their immediate families/successors. Yes, I think the most significant “find” was the gold cross the Mcginnis clan showed everyone, but there was no follow up. Can we test it, see how old it is, etc.? That scene seemed thrown in at the end – perhaps because they hadn’t really found much else. Nevertheless, I really like the show, but I am starting to get bored with it. There are old mementos in many families. 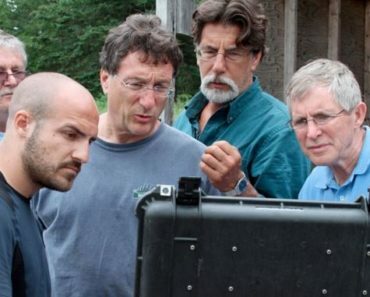 It could have come from anywhere and someone just connected it to the Oak Island story. It means nothing. Alright. How come no one is talking about that clearly gold item that they recorded with the snake camera in the void at like 160 something feet. That looks like the most proof of anything on this entire series. I think they found it this time. It’s def gold and the way its shaped is looks to be a man made gold artifact. BINGO! Thoughts? A bit of shiny stuff? Could be anything. because the show sees everything through the prism of treasure, no findings are ever given proper scrutiny. When the McGinnis woman said each boy had a chest each. Surely that would have been handed down. So where are they?